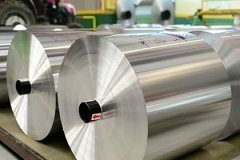 The checkered aluminum coil 1100 3003 5052 6061 can be divided into many types according to the patterns, there are five bars, diamond, 3 bars commonly in the market. Haomei is an aluminum circle blanks manufacturer in China, we can supply aluminum circles 1050, 1060, 1070, 1100, 3003, 3004 and 5052 with fast production and low cost. Aluminum sheet 6061-t6 has high strength and high hardness (up to above 90 degrees), it has good flatness, good processing effect and good oxidation effect. The marine grade aluminium alloy plate 5083 5086 material used in the shipbuilding industry have good corrosion resistance, weldability, plasticity. 8079 pharmaceutical packaging aluminum foil is main used as the blister packaging of medicine capsules and tablets, as well as bag packaging of powder granules and water. Haomei 6061 T6 aluminum plate has high strength, good formability, weldability, machinability and medium strength, good operability after annealing. Mold aluminium alloy 6061 generally require high strength heat treatable aluminum alloy plates that require good mechanical properties and are easy to process. Haomei supply 5086 aluminum sheet with great price, good gloss, good corrosion resistance, sufficient strength, excellent process performance and welding performance. The 5083 aluminum plate supplier china Haomei is specializing in supply typical aluminum alloy for shipbuilding welding.